They say perfectionism helps us to achieve more, do more and be better. It is praised as how we need to be in order to go further and be successful. In my late 20s and early 30s I had an obsession for being perfect and successful. I did whatever it took. I so badly wanted to be perfect at work and in my career. I also wanted to be the perfect mom, the perfect wife, the perfect friend, the perfect sister, the perfect daughter. The perfect Me! But instead of striving to have it all together, being a perfectionist was working against me. Striving for perfection in many cases is related to low self-esteem, at least it was for me. Being a perfectionist, you carry a heavy load. You live in tension and constant anxiety about “things going wrong or making a mistake”. You are not able to enjoy your successes. And often no matter how hard you try, you still feel defeated and frustrated. Do you need to be the first and the best? Are you scared to make mistakes or mortified when you make one? Are you constantly stressed out? If you found yourself answering yes to most of these questions, most likely you are a perfectionist. We have this need to prove ourselves to others constantly. Our need to have validation from others drains our energies and keeps us from being our beautiful authentic selves. Part of developing a good relationship with ourselves is to learn to take the risks and do things that will not always come out right. In doing so, we recognize and accept our mistakes and continue to love ourselves for who we are. 2012 was the most challenging time of my life where I faced a major collapse professionally and personally. Suddenly I lost all I had and all I have ever known. Even my so-called “prestige” was lost – this hit me the hardest. What I learned from that experience is that striving for perfection is one of the most sabotaging acts we could ever do to ourselves. We live in a society that expects us to be perfect. Everywhere you look, there is this high standard of having perfect bodies, perfect smiles, perfect relationships, perfect financial status, perfect kids, even to be perfect parents. Well, the good news is that it is possible to free ourselves and all it takes is a high level of commitment, acceptance and self-love. A frequent question I get after my speaking engagements is how do you manage to balance your personal and professional life, how do you make everything come together? How do you do it? My answer is simply this: I don’t aim to be perfect, I aim to do my best”. When you know that you are doing your best instead of striving to be perfect you become your own measure of success instead of by some external metric. What a relief! Wearing many hats as I do if I tried to be perfect wearing all of them I would go mad! Therefore I try to do my best, have fun in the process and I learn to say NO. The day I decided to become a full time entrepreneur was the same day I gave up on perfectionism. Instead of waiting to have it all together I just started and I focused on gradual improvement. Instead of trying to be the perfect mother, wife, friend, daughter. I decided to be present, fully attentive and present in any of my roles. 1) Accept that you are human and part of being human is that you are going to make mistakes. Embrace that reality. 3) Get straight into action. Stop procrastinating and just do It! Don’t hide behind having it all together to avoid doing it! 4) Ask for help. Allow people to give you a hand, delegate at work and don’t judge the way people do things — let them do it their way! 5) Forgive yourself for your imperfections, change what you can and let go of the rest. Remember to be gentle with yourself. 6) Start something new, this will make you humble! For years I did not feel comfortable in group classes and only hired private teachers so I don’t feel exposed I avoided doing yoga for that reason and last year I completed a teacher training I was far from perfect but I enjoyed the experience! There is life after being a perfectionist; take it from me. Remember your own imperfection is what makes you perfect! Focus on being better instead of perfect. Accept yourself for the way you are. The most important thing is to know who you are, to be able to look at yourself in the mirror and be happy with what you see. 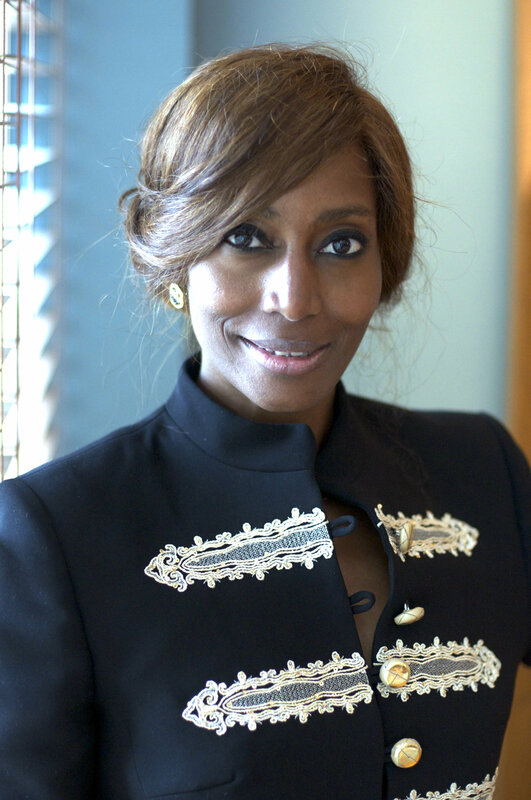 Considered one of the ten most influential Spanish women in American business, and declared “an international change agent” by Black Enterprise, Bisila Bokoko is an acclaimed businesswoman, entrepreneur, and philanthropist. For seven years, she held the position of Executive Director of the Spain-US Chamber of commerce in New York. She then launched BBES, her consulting firm. At BBES, she works with companies or individuals that want to go from local to global across industries in fashion, arts and culture and gastronomy. From hosting at the UN in Switzerland to delivering powerful keynotes in Dominican Republic, and on-air radio hosting in South Africa, Bisila continues to inspire audiences around the world.